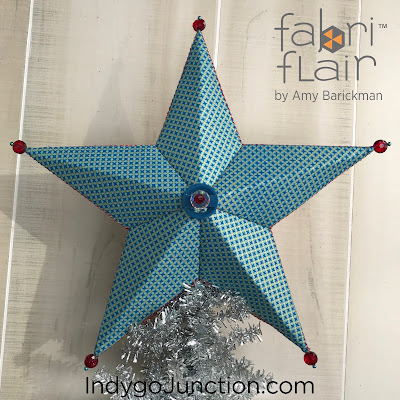 Inspired by Fabric: Make your own star with Fabriflair! 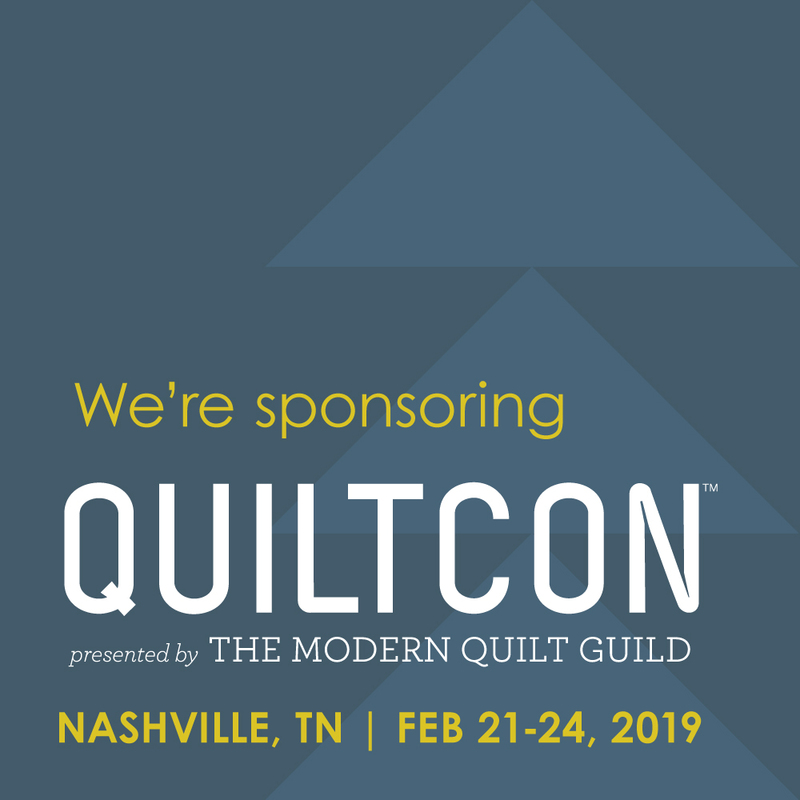 We shared a booth with another Kansas City company, Indygo Junction at Quilt Market. Indygo Junction was founded by Amy Barickman and she recently developed a new brand for her pattern company, Fabriflair. We fell in love with Fabriflair and coordinated efforts with Amy to showcase Paintbrush Studios fabric in Fabriflair projects for the show. With Christmas around the corner, it seems like the right time to share their stars and ornaments. 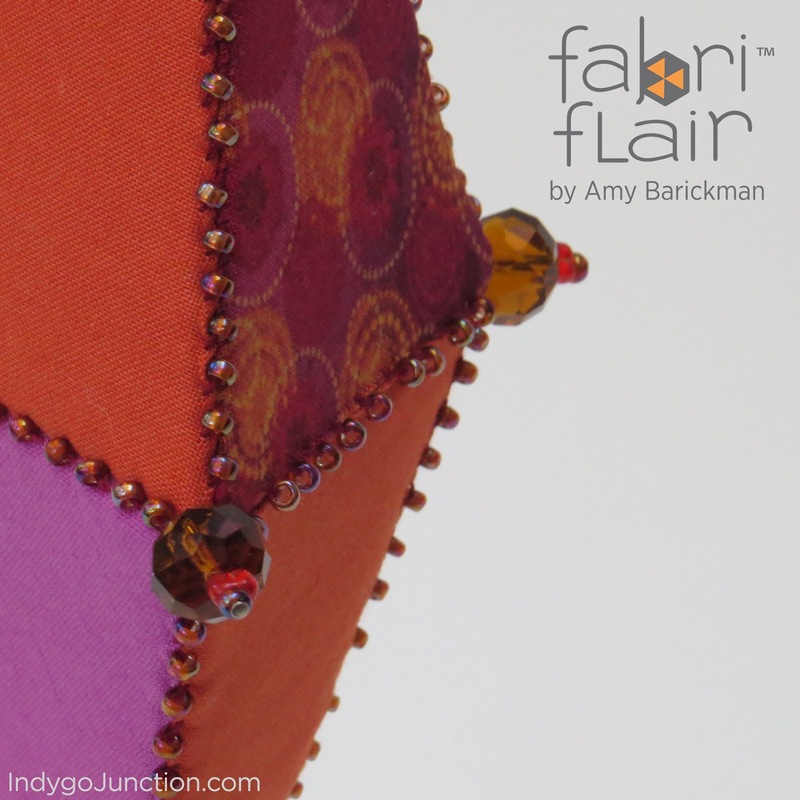 Initially Indygo Junction introduced six kits with mat board templates to cover and hand stitch and most recently a sew by machine method was introduced featuring Fabriflair Stabilizer. 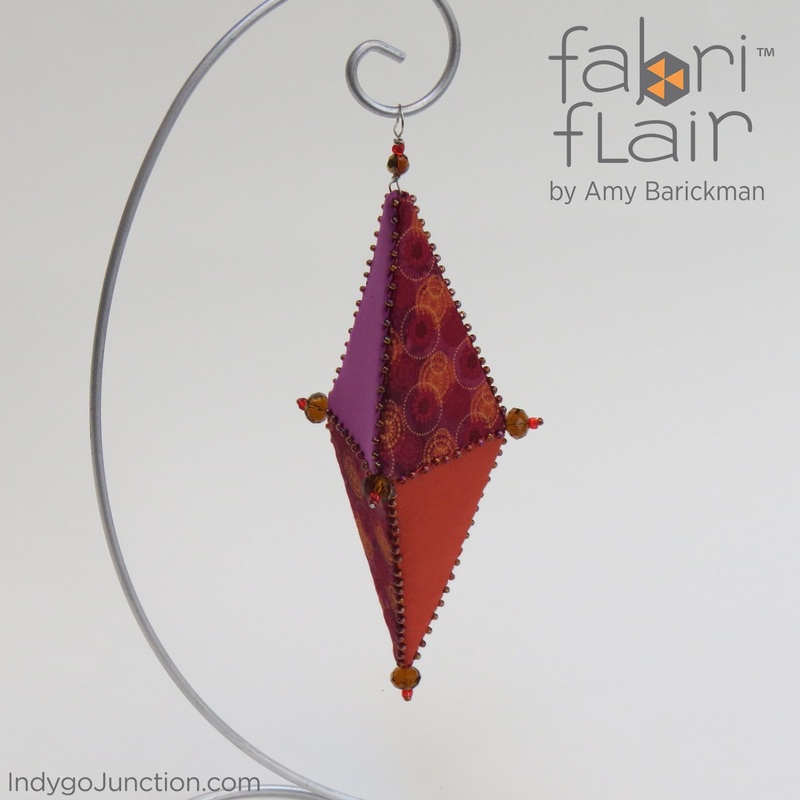 Fabriflair Patterns are dimensional fabric projects based off English Paper Piecing. The Fabriflair Stabilizer is used in all of our Fabriflair patterns and allows for machine stitching. This also makes it easy to decorate stars with beads, sequins, buttons, and notions for extra dazzle on the tree! Amy shares information about the stabilizer in this video. What a fabulous tree topper! Stars shown in the metallic gold enhanced coordinates from our Mayfair fabric collection. There are three sizes in the Tree Topper and Ornament Pattern for big and small trees alike; its also perfect for adding flair to wreaths. Add new ornament to your tree! The pattern for this ornament is available for free inside the Fabriflair Stabilizer 6 Pack. Choose your fabrics and add beads! Ornament shown in Painter's Palette Solids and Pretty Foxy by Ro Gregg. Purchase the Tree Topper & Ornament Fabriflair pattern here. Visit the Indygo Junction website here to learn more about their Fabriflair patterns and other products. With a knack for anticipating popular trends and new talent, Amy’s ability as a collaborative entrepreneur has allowed her to design over 1200 patterns and 80 books. Amy is a passionate collector of vintage sewing materials, which inspire much of her work including her award-winning book, Vintage Notions: An Inspirational Guide to Needlework, Cooking, Sewing, Fashion, & Fun. Most recently Amy introduced her Indygo Essentials apparel pattern line and Fabriflair™ brands, as well as a Vintage Notions line of sewing & coloring books.Through her videos, blogs, websites and e-newsletters, Amy inspires countless crafters to explore their own creative spirit and experiment with the newest sewing, fabric and crafting techniques. 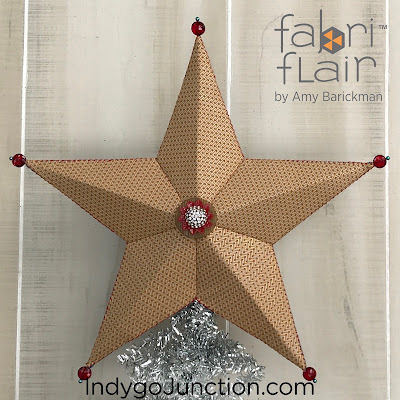 Keep up with Amy as she shares her ideas and inspiration at www.amybarickman.com and www.IndygoJunction.com.